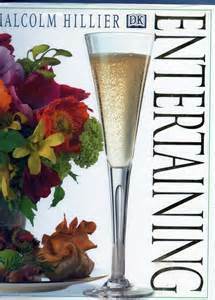 One of my readers in the US has asked if I can recommend a publication on Entertaining, covering party preparation. The best book I have found is 'Entertaining' by Malcolm Hillier. The book covers everything from menus to table laying to decorations, and includes preparations for special Breakfasts, Lunches and Dinners. There are sections on Buffet Parties, Cocktail Parties, Champagne Buffets, Morning Coffee and Afternoon Tea. If you want to know how to set up and deliver the perfect Barbecue then this beautifully produced publication shows you how. With 200 pages of helpful tips, excellent colour photographs and clear instructions, you will know how to light your event, what table linen to use and the right crockery and glass. There are hints on the correct drinks to serve, when to serve them, and all the etiquette for every entertaining occasion. 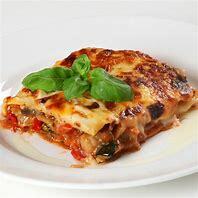 The recipes are simple, clearly presented and easy to follow and offer advice on how to present them to guests on your table menu. Whether it is a Vegetarian Special for 6 of Seared Goat's Cheese and Tapenade, a Birthday Party for 18 or a Country Hamper for 12, 'Entertaining' has everything you need to cater for any occasion. The 'Cooks Tips' offer advice if ingredients in recipes are not available or if something goes wrong in cooking. I like the section on outdoor events like Garden Parties, French Picnics and Moonlit Suppers, while the chapter covering 'Countdown to the Event' makes sure that nothing is forgotten in making your special dining event a success, including what flowers to use and how to fold the napkins. All in all, this book leaves nothing to chance and if you want to entertain in the right way, whether for an office party or a formal sit-down event, then this book is a must.